From New York Times bestselling author James Lee Burke, Detective Dave Robicheaux becomes entangled in a mystery that connects a series of grisly murders with an ex-convict turned bestselling author, a notorious local pimp, and the man currently dating Robicheaux’s daughter. On the trail of a killer responsible for the deaths of seven young women in neighboring Jefferson Davis parish, Detective Dave Robicheaux and his best friend Clete Purcel can’t seem to stay away from Herman Stanga, a notorious pimp whose name constantly resurfaces in their investigation, and whom both men despise. When Stanga turns up dead shortly after a fierce beating in front of numerous witnesses at the hands of Clete Purcel, the case takes a nasty turn, and solving the mystery of the Jefferson Davis deaths becomes more important than ever. Adding to Robicheaux’s troubles is the matter of his adopted daughter, Alafair, on hiatus from Stanford Law for a semester and home in New Iberia to put the finishing touches on her novel. Her literary pursuit has led her into the arms of Kermit Abelard, celebrated novelist and scion of a once-prominent Louisiana family whose fortunes are slowly sinking into the bayous. In Robicheaux’s mind, Abelard’s association with a sleazy ex-convict turned bestselling author named Robert Weingart puts him at the center of some very shady business, and Robicheaux fears he’s taking Alafair down with him. But at the same time he fears for Alafair’s well-being—and possibly her life—she’s becoming more distant toward him, convinced his concerns are just the paranoia of an overprotective father. To protect his daughter and clear his best friend’s name, Robicheaux will need every ounce of guts, wit, and investigative chops he can muster. 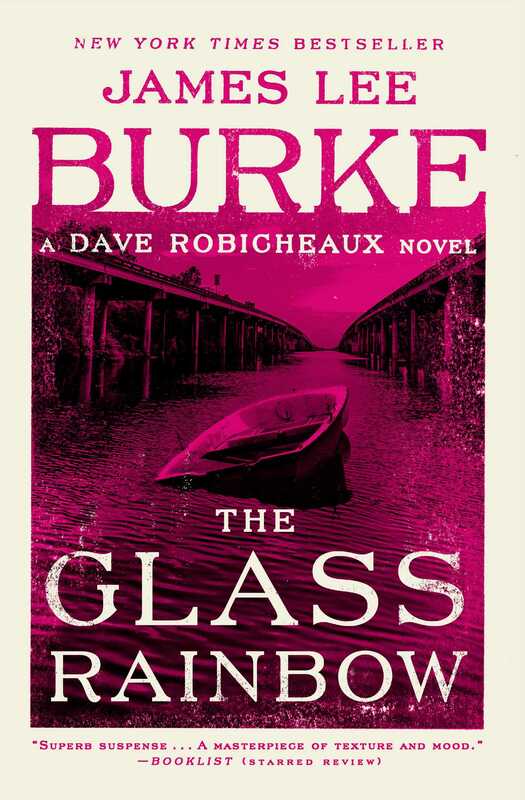 From the creator of “one of America’s best mystery series” (Library Journal, starred review), James Lee Burke’s The Glass Rainbow is a “superlative” (Publishers Weekly, starred review) bayou thriller. FOR THE REST of the world, the season was still fall, marked by cool nights and the gold-green remnants of summer. For me, down in South Louisiana, in the Garden District of New Orleans, the wetlands that lay far beyond my hospital window had turned to winter, one characterized by stricken woods that were drained of water and strung with a web of gray leaves and dead air vines that had wrapped themselves as tightly as cord around the trees. Those who have had the following experience will not find my descriptions exaggerated or even metaphorical in nature. A morphine dream has neither walls nor a ceiling nor a floor. The sleep it provides is like a warm bath, free of concerns about mortality and pain and memories from the past. Morpheus also allows us vision through a third eye that we never knew existed. His acolytes can see through time and become participants in grand events they had believed accessible only through history books and films. On one occasion, I saw a hot-air balloon rising from its tether in Audubon Park, a uniformed soldier operating a telegrapher’s key inside the wicker basket, while down below other members of the Confederate Signal Corps shared sandwiches and drank coffee from tin cups, all of them as stately and stiff as figures in a sepia-tinted photograph. I don’t wish to be too romantic about my experience in the recovery facility there on St. Charles Avenue in uptown New Orleans. While I gazed through my window at the wonderful green streetcar wobbling down the tracks on the neutral ground, the river fog puffing out of the live oak trees, the pink and purple neon on the Katz & Besthoff drugstore as effervescent as tentacles of smoke twirling from marker grenades, I knew with a sinking heart that what I was seeing was an illusion, that in reality the Katz & Besthoff drugstore and the umbrella-covered sno’ball carts along St. Charles and the musical gaiety of the city had slipped into history long ago, and somewhere out on the edge of my vision, the onset of permanent winter waited for me. Though I’m a believer, that did not lessen the sense of trepidation I experienced in these moments. I felt as if the sun were burning a hole in the sky, causing it to blacken and collapse like a giant sheet of carbon paper suddenly crinkling and folding in on itself, and I had no power to reverse the process. I felt that a great darkness was spreading across the land, not unlike ink spilling across the face of a topographic map. Many years ago, when I was recovering from wounds I received in a Southeast Asian country, a United States Army psychiatrist told me that my morphine-induced dreams were creating what he called a “world destruction fantasy,” one that had its origins in childhood and the dissolution of one’s natal family. He was a scientist and a learned man, and I did not argue with him. Even at night, when I lay in a berth on a hospital ship, far from free-fire zones and the sound of ammunition belts popping under a burning hooch, I did not argue. Nor did I contend with the knowledge of the psychiatrist when dead members of my platoon spoke to me in the rain and a mermaid with an Asian face beckoned to me from a coral cave strung with pink fans, her hips spangled with yellow coins, her mouth parting, her naked breasts as flushed with color as the inside of a conch shell. The cult of Morpheus is a strange community indeed, and it requires that one take up residence in a country where the improbable becomes commonplace. No matter what I did, nor how many times I disappeared out my window into the mists along St. Charles Avenue, back into an era of rooftop jazz bands and historical streetcars filled with men in bowler hats and women who carried parasols, the watery gray rim of a blighted planet was always out there—intransigent and corrupt, a place where moth and rust destroy and thieves break in and steal. IN THE EARLY A.M. on a Friday, I asked the black attendant to open the windows in my room. It was against the rules, but the attendant was an elderly and kind man who had spent five days on a rooftop after the collapse of the levees during Hurricane Katrina, and he wasn’t given to concerns about authority. The windows reached to the ceiling and were hung with ventilated green shutters that were closed during the heat of the day to filter the sun’s glare. The attendant opened both the glass and the shutters and let in the night smell of the roses and camellias and magnolia and rain mist blowing through the trees. The air smelled like Bayou Teche when it’s spring and the fish are spawning among the water hyacinths and the frogs are throbbing in the cattails and the flooded cypress. It smelled like the earth may have smelled during the first days of creation, before any five-toed footprints appeared along the banks of a river. Or at least I think the black man opened the windows. Even to this day I cannot be sure of what I said and saw and heard that night. Like the drunkard who fears both his memory and his dreams, I had become cynical about my perceptions, less out of fear that they were illusions than a conviction that they were real. After the black man had left the room, I turned my head on the pillow and looked into the face of a Cajun girl by the name of Tee Jolie Melton. “It’s nice to see you, Tee Jolie. How’d you get in?” I said. Her eyes were blue-green, her hair long and mahogany-colored with twists of gold in it that were as bright as buttercups. She was part Indian and part Cajun and part black and belonged to that ethnic group we call Creoles, although the term is a misnomer. “I was backing up when this light pole came out of nowhere and smashed into my bumper. “I was turning left, but somebody was blocking the lane, so, trying to be polite, I switched my turn indicator and cut through the school parking lot, but I didn’t have no way of knowing the chain was up on the drive at that time of day, because it never is. Tee Jolie fixed a glass of ice and Dr Pepper with a lime slice and stuck a straw in it and held it up to my mouth. She was wearing a long-sleeve shirt printed with purple and green flowers. Her skirt was pale blue and fluffy and pleated, and her shoes looked tiny on her feet. You could say that Tee Jolie was made for the camera, her natural loveliness of a kind that begged to be worshipped on a stage or hung on a wall. Her face was thin, her eyes elongated, and her hair full of waves, as though it had been recently unbraided, although that was the way it always looked. “I know something I ain’t suppose to know, and it makes me scared, Mr. Dave,” she said. She was sitting in the chair, her ankles close together, her hands folded on her knees. I had always thought of her as a tall girl, particularly when she was onstage at the zydeco club where she sang, an arterial-red electric guitar hanging from her neck. Now she looked smaller than she had a few moments ago. She lifted her face up into mine. There was a mole by the corner of her mouth. I didn’t know what she wanted me to say. “Did you get involved with some bad guys?” I said. As with many Creoles and Cajuns, there was a peculiarity at work in Tee Jolie’s speech. She was ungrammatical and her vocabulary was limited, but because of the cadence in her language and her regional accent, she was always pleasant to listen to, a voice from a gentler and more reserved time, even when what she spoke of was not pleasant to think about, in this case the death of my father, Big Aldous. I fixed my gaze on the glass of Dr Pepper and ice that sat on the nightstand. “You want some more?” she asked. “They shot me up proper,” I replied. Outside the window, I could hear the rain and wind sweeping through the trees, scattering leaves from the oaks and needles from the slash pines across the roof. “Don’t tell me his name,” I said. “Are you really here?” I asked. She cupped her hand on my brow. “You’re burning up, you,” she said. NINE DAYS LATER, a big man wearing a seersucker suit and a bow tie and spit-shined shoes and a fresh haircut and carrying a canvas bag on a shoulder strap came into the room and pulled up a chair by the bed and stuck an unlit cigarette in his mouth. “You’re not going to smoke that in here, are you?” I asked. He didn’t bother to answer. His blond hair was cut like a little boy’s. His eyes were bright green, more energetic than they should have been, one step below wired. He set his bag on the floor and began pulling magazines and two city library books and a box of pralines and a carton of orange juice and a Times-Picayune from it. When he bent over, his coat swung open, exposing a nylon shoulder holster and the blue-black .38 with white handles that it carried. He removed a pint bottle of vodka from the bag and unscrewed the cap and poured at least three inches into the carton of orange juice. “Early in the day,” I said. “You know better than that,” I said. He waited for me to speak. But I didn’t. “You don’t believe it?” he said. He fiddled with his fingers and looked into space, and I knew he had something on his mind besides the oil-well blowout on the Gulf. “Something happen?” I said. “You think he was lying about selling the marker to Golightly?” I asked. “Bix Golightly is psychotic,” I said. It was Indian summer outside, and the sunlight looked like gold smoke in the live oaks. At the base of the tree trunks, the petals of the four-o’clocks were open in the shade, and a cluster of fat-breasted robins were pecking in the grass. It was a fine morning, not one to compromise and surrender to the meretricious world in which Clete Purcel and I had spent most of our adult lives. “Let it go,” I said. “Let what go?” he asked. “Help me into the bathroom, will you?” I said. He lifted the orange juice carton and drank from it, fixing one eye on me like a cyclops who was half in the bag. CLETE MAINTAINED TWO private investigative offices, one on Main Street in New Iberia, over in the bayou country, and one in New Orleans, on St. Ann in the French Quarter. After Katrina, he bought and restored the building on St. Ann that he had formerly rented. With great pride, he lived on the second floor, above his office, with a fine view from the balcony of St. Louis Cathedral and the oak trees and dark green pike-fenced garden behind it. As a PI, he did scut work for bondsmen and liability lawyers, wives who wanted their unfaithful husbands bankrupted in divorce court, and cuckolds who wanted their wives and their lovers crucified. On the upside of the situation, Clete hired out at nearly pro bono rates to bereaved parents whose missing children had been written off as runaways, or to people whose family members may have been railroaded into prison and even placed on death row. He was despised by many of his old colleagues at NOPD and the remnants of the Mob. He was also the bane of the insurance companies because of the massive amounts of property damage he had done from Mobile to Beaumont. He had skipped New Orleans on a murder beef after shooting and killing a federal witness, and he had fought on the side of the leftists in El Salvador. 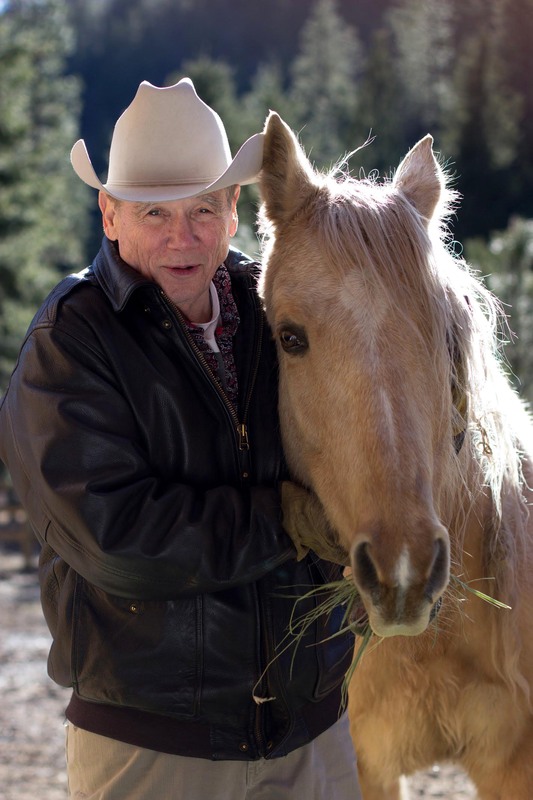 He had also been a recipient of the Navy Cross, the Silver Star, and two Purple Hearts. When a private plane loaded with mobsters crashed into the side of a mountain in western Montana, the National Transportation Safety Board’s investigation determined that someone had poured sand in the fuel tanks. Clete threw a suitcase in the back of his rusted-out Caddy convertible and blew Polson, Montana, like it was burning down. He dropped a corrupt Teamster official upside down from a hotel balcony into a dry swimming pool. He poured a dispenser of liquid soap down the throat of a button man in the men’s room of the New Orleans airport. He handcuffed a drunk congressman to a fireplug on St. Charles Avenue. He opened up a fire hose on a hit man in the casino at the bottom of Canal Street and blew him into a toilet stall like a human hockey puck. He destroyed a gangster’s house on Lake Pontchartrain with an earth-grader, knocking down the walls, troweling up the floors, and crushing the furniture into kindling, even uprooting the shrubbery and flowers and trees and grading them and the lawn furniture into the swimming pool. An average day in the life of Clete Purcel was akin to an asteroid bouncing through Levittown. Child molesters, pimps, dope dealers, and men who abused women got no slack and feared him as they would the wrath of God. But Clete’s role as the merry prankster and classical trickster of folklore had a price tag. A succubus lived in his breast and gave him no respite. He had carried it with him from the Irish Channel in New Orleans to Vietnam and to the brothels of Bangkok and Cherry Alley in Tokyo and back home to New Orleans. In Clete’s mind, he was not worthy of a good woman’s love; nor did he ever measure up in the eyes of his alcoholic father, a milkman who took out his anger and low self-esteem on his confused and suffering firstborn son. His two visitors had parked their car on Decatur and walked up Pirates Alley, past the small bookshop that once was the apartment of William Faulkner, then had mounted the stairs of Clete’s building, where one of them banged loudly on the door with the flat of his fist. It was evening, and Clete had just showered after an hour of lifting barbells by the stone well in his courtyard. The sky was mauve-colored and filled with birds, the banana plants in his courtyard rattling in the breeze that blew from Lake Pontchartrain. He had just dressed in new slacks and white socks and Roman sandals and a Hawaiian shirt, his skin still glowing with the warmth of the shower, his hair wet-combed, all the time whistling a tune and looking forward to sitting down at his table over a bowl of crawfish gumbo and loaf of hot buttered French bread. It was the kind of timeless evening in Louisiana when spring and fall and winter and summer come together in a perfect equinox, so exquisite and lovely that the dying of the light seems a violation of a divine ordinance. It was an evening that was wonderful in every way possible. Street musicians were playing in Jackson Square; the air smelled of beignets baking in Café du Monde; the clouds were ribbed like strips of fire above a blue band of light that still clung to the bottom of the sky. Maybe there was even a possibility of turning around in a cafe and unexpectedly seeing a beautiful woman’s smile. It was an evening that would have been good for anything except an unannounced visit by Bix Golightly and a pimple-faced part-time killer and full-time punk named Waylon Grimes. Clete opened the door. “I’m closed for the day. You got business with me, call the office tomorrow and make an appointment,” he said. Bix Golightly still had the sloping shoulders and flat chest and vascular forearms and scar tissue around his eyes that had defined him when he boxed at Angola, breaking noses, busting lips and teeth, and knocking his opponents’ mouthpieces over the ropes into the crowd on the green. His face was all bone, the bridge of his nose crooked, his haircut tight, his mouth a mirthless slit. Some people said Bix shot meth. Others said he didn’t have to; Bix had come out of his mother’s womb with a hard-on and had been in overdrive ever since. “Frankie Gee told you about me acquiring your marker?” he said. “If it’s bogus, why is your name signed on it?” Bix asked. “It’d better, because that’s as good as it’s going to get. What’s Waylon doing here?” Clete said. “He killed a four-year-old child, is why,” Clete replied. “That was during a robbery. Waylon was the victim, not the guy doing the robbery,” Bix said. “He backed up over a kid and made the parents testify that a car-jacker did it,” Clete said. “I want a retroactive patent on the wheel, but that doesn’t mean I’m going to get one,” Clete replied. “Can I use your bathroom?” Waylon said. “You got a broad back there?” Waylon said. Waylon took a deep puff off his cigarette, letting the smoke out slowly, like balls of damp cotton rising from his mouth. He dropped the cigarette on the landing and ground it out flatly under his shoe and glanced at Bix Golightly, his expression contemplative. “I’ll be down at the Vietnamese grocery,” he said. Before Clete could respond, Bix Golightly stepped closer to him, blocking Clete’s view of the foyer, his body heat and the astringent smell of his deodorant rising into Clete’s face. “Can you read my ink?” he said. Clete unfolded the piece of notebook paper and stared at the letters and numbers penciled on it, his scalp shrinking. “What if I shove this down your throat?” he said.